Make your loved one explode with emotions when they open this box filled with love. 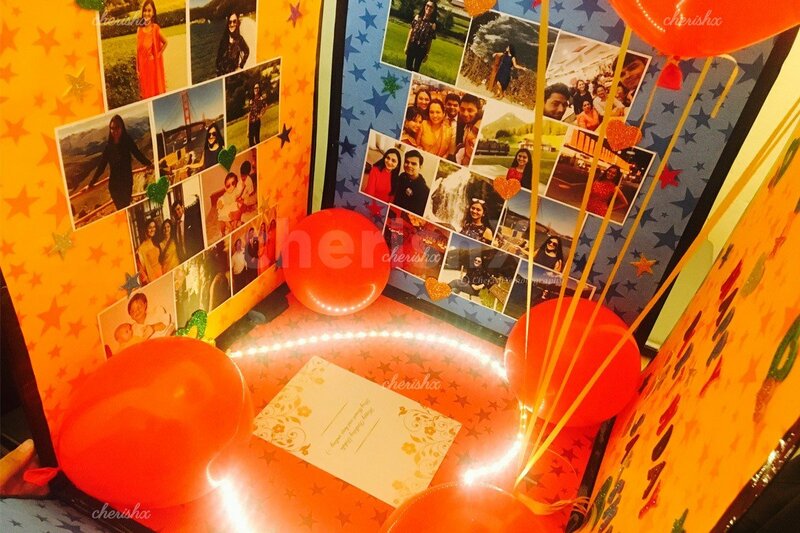 As the box explodes with balloons & photos it articulates the magic of love. Surplosion box is a perfect metaphor for love. Like your love it is a trail of memories, feelings hard to put in words. The personalisation of photos make it full of effort and compassion. The box holds balloons like your heart holds your loved one. The lights inside show how your world is lit up by their presence. Make your celebrations full of smiles and happiness with a surprise explosion box full of joy. We can also hide some nice gifts (chocolates, mobile, jewellery) to this box for you. 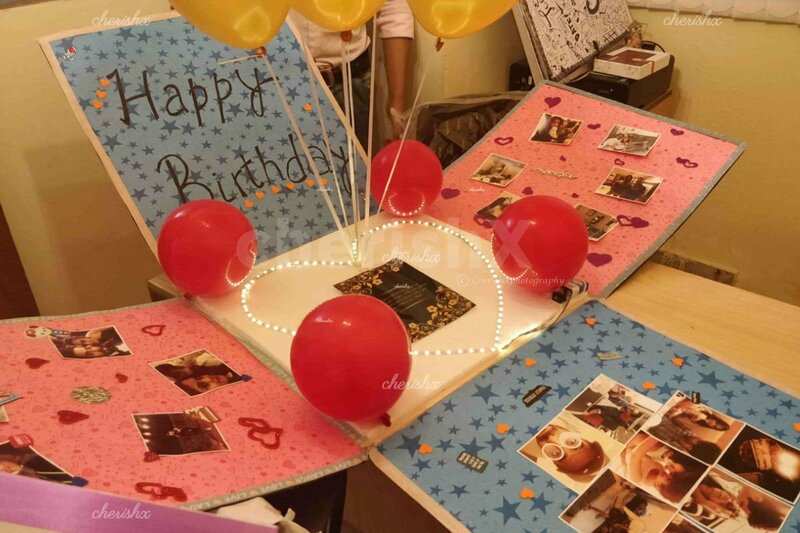 “Happy Birthday”: Want to surprise your loved one by wishing them in a unique way. The surplosion box is a perfect gift! 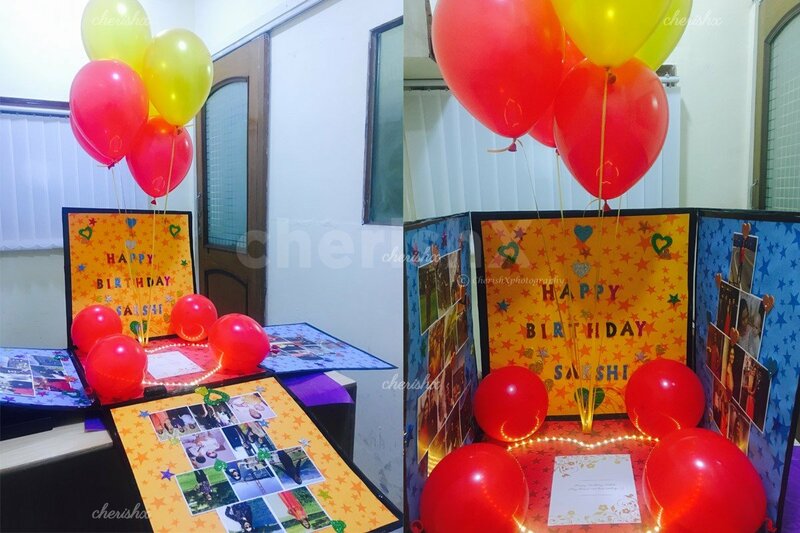 A balloon with printed happy birthday message flies out as soon as the box is opened it is sure to make them feel extra special. Led Lights arranged in a shape of heart, star etc. 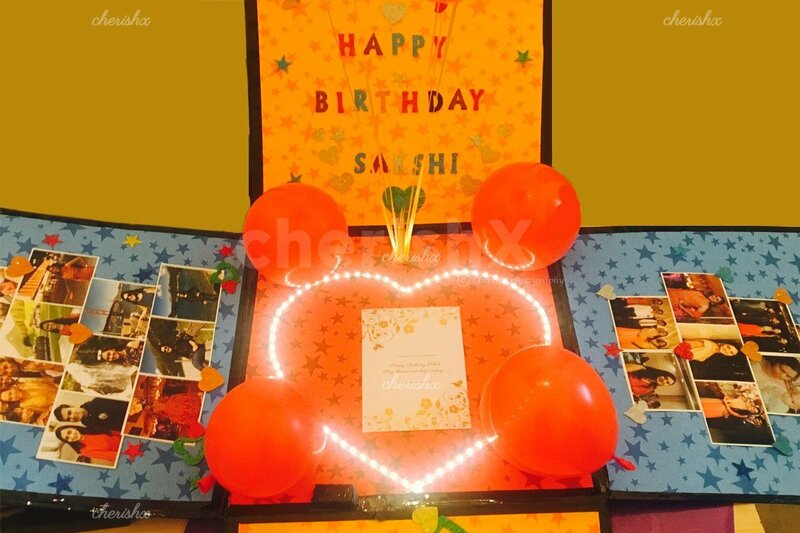 Giftbox contains helium balloons, personalized message, beautifully arranged photographs, cool drawings and stickers. To officially cancel an experience kindly reply to booking confirmation email saying "I want to cancel my experience, please initiate the cancellation process"